This fun packed event will be compered by André Le Masurier. Live entertainment provided by GATECRASH, followed by DJ Ian Bennett. 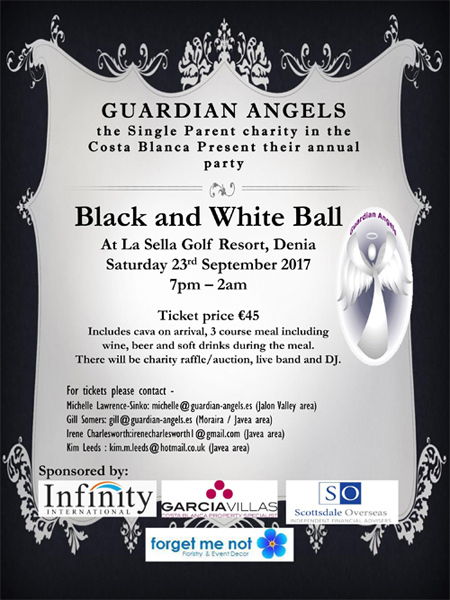 If you would like to stay the night at La Sella Hotel, Spa & Golf Resort, please contact the hotel direct on 966454054 and quote Guardian Angels Ball discount. A standard double room will then be charged at 95€ (instead of the usual 120€). Please click here for map showing location of hotel. 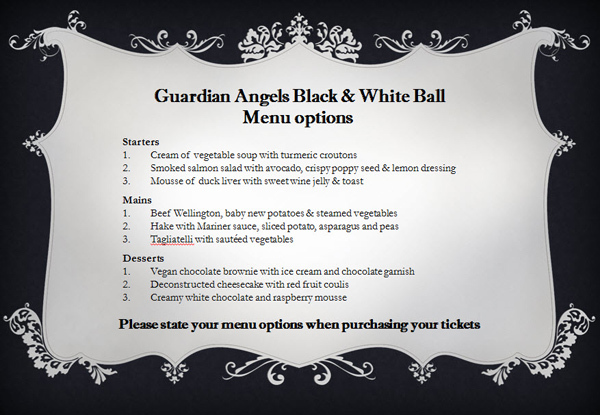 Please state your menu options when purchasing tickets (see menu below).